Conveniently located just minutes from Oklahoma City, Edmond is a thriving, livable city with a lot to offer prospective residents. Praised by Relocate America and CNBC for its outstanding quality of life and excellent amenities, Edmond boasts a diverse economy, affordable cost of living, plentiful parkland and exceptional public schools and colleges such as the University of Central Oklahoma. All in all, Edmond’s prime location near Oklahoma City, great public schools and superb quality of life make it one of the most coveted places to live in the Oklahoma City metropolitan area. Edmond OK real estate has much to offer prospective homebuyers. Edmond OK homes are available in a wealth of great choices, including modern single-family homes, affordable starter homes and charming townhouses. Edmond homes for sale and other types of Edmond real estate also enjoy competitive prices and strong values, making them very enticing for families, first-time homebuyers, commuters and many others seeking great deals. With their ideal location and reasonable prices and interest rates, Edmond properties are widely seen as among the modest desirable in the region. Established in 1889, Edmond thrived as a railroad hub and center for regional trade, industry and agriculture for many years. The city became a desirable suburb of Oklahoma City after World War II and has enjoyed strong growth and prosperity since then. Today Edmond is known for its high quality of life, strong economy and prime location, making it an outstanding place to live, work or retire. Edmond hosts a rich variety of parks, trails and other public spaces to enjoy throughout the year (http://edmondok.com/index.aspx?NID=361). Just a few of these include Centennial Park, Fink Park, Shannon Miller Park, Stephenson Park and many others. Local attractions and sites of interest in Edmond are easy to find and include the Festival Market Place, Meadow Lakes Park, KickingBird Golf Course, Whispering Heights Park and a trove of shops, restaurants and nightlife spots. In addition, Edmond offers easy access to nearby attractions in Oklahoma City such as the Oklahoma City Museum of Art, the Science Museum Oklahoma, the Oklahoma City Zoo and Botanical Gardens and much, much more. Events and activities in the Edmond area include the LibertyFest Parade, the Parade of Lights, Independence Day celebrations, local sports games, concerts and professional sports games in nearby Oklahoma City and much more to discover. Real estate in Edmond and quality homes for sale in Edmond offer some of the top deals in the Oklahoma City area today. Those looking into becoming an Edmond home buyer should see local Edmond REALTOR® Karen King right away. 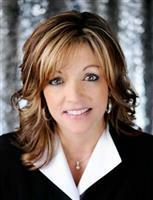 As an Edmond real estate agent, she can assist in discovering more about this great city and what it has to offer. 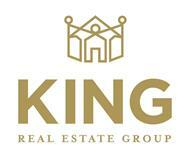 Give Karen King a call now and make an appointment to view available Edmond properties. Let her help you find your ideal home today!